First published in 2001. This book is an invaluable clinical reference for the therapeutic management of gastrointestinal and liver diseases which the gastroenterologist and trainee encounter in their practice. Various drugs and their interactions with their intended site and also with other drugs are discussed from a practical point of view. 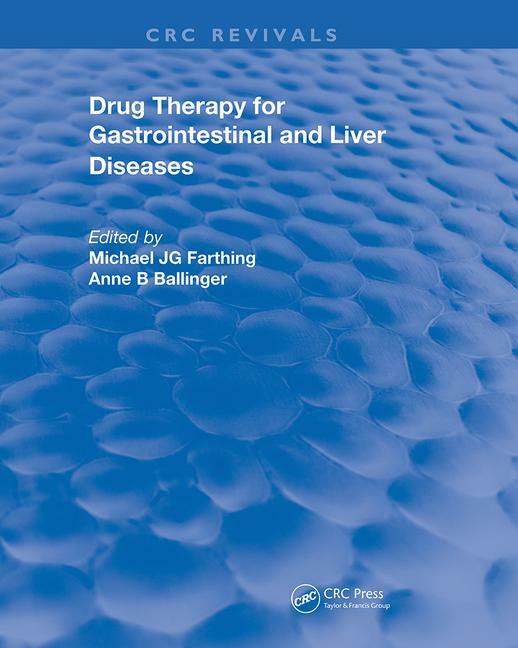 This book is not a treatise on gastrointestinal pharmacology but a practical guide to the therapeutic use of GI drugs. Michael J.G. Farthing DSc(Med), MD, FRCP, FMedSci, Executive Dean of the Faculty of Medicine, University of Glasgow, Glasgow, UK. He is the editor of Gut and also of Clinical Challenges in Gastroenterology (Martin Dunitz, 1996). Anne B. Ballinger MD, MRCP, Senior Lecturer in Medicine and Honorary Consultant Gastroenterologist, Digestive Diseases Research Centre, St Bartholomew’s and The Royal London School of Medicine & Dentistry, London, UK.